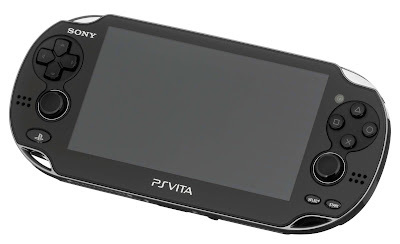 Amazing Hardware - The hardware of the PS Vita is, simply put, fantastic. In fact, I'd argue that hardware-wise it's probably the most perfect PlayStation product in terms of power, function and design. Power-wise, it's pretty comparable to the PS3, the screen looks fantastic (especially on the older, OLED models), the battery life is pretty decent and the interface works very well. 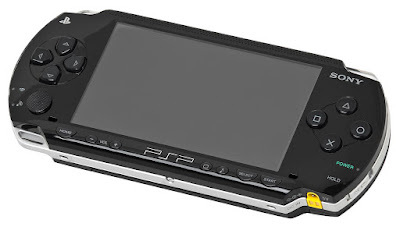 Many people say that the PS Vita was basically the original Nintendo Switch and they aren't wrong. The system's hardware is certainly comparable and could have found similar success with better support. Great Indie Machine - People have written off the PS Vita for years now, but even to this day, the system still gets releases from indie developers who have helped keep the system afloat. Having a PS+ membership carry over from the PS4 also helped with this, since it basically meant that you were getting a free game every month to try out. I actually got Gravity Rush and freaking Hotline Miami through this system and am even hoping that Bloodstained: Ritual of the Night still comes to Vita because that's where I'm planning on playing it. PSP Backwards Compatibility - The PS Vita basically ended up aping the PSP Go's functionality, because you can go back and play most of the PSP's digital library on the go. I actually ended up selling my PSP to a friend because of this, although I do have some regrets now since games like Metal Gear Ac!d aren't on the PSP online store. Some PS1 games are also available here, although the selection isn't as good as it was on PSP. My Favourite PS Vita Games - As usual, not a comprehensive list, but I loved: Gravity Rush, Hotline Miami 1 & 2, Dynasty Warriors 8: Xtreme Legends, Ninja Gaiden Sigma 1 and 2 and Guacamelee! Trophies - Probably my favourite innovation that the PS3 brought was the advent of trophies (which, to be fair, were modelled after the Xbox's achievements system). These things are so addictive though. Basically, as soon as I start a game I head over to the Trophies section to see what trophies I could realistically go for and whether I actually want to bother going for the Platinum. Blu-Ray Player - Like the PS2 and PS1 before it, the PS3 came with a new media format innovation, this time with a blu-ray player. Also similarly, the PS3 was cheaper and better than most blu-ray players at the time, which helped to tip the format war between blu-ray and HD-DVD into blu-ray's favour. Like DVD's, the PS3 was my first blu-ray player and was the reason I stopped buying DVDs and made the switch to HD media. Free Online Play - While it was widely agreed that Xbox Live had the more robust and reliable online system, you did have to pay an annual subscription for it, whereas online play was free on PS3. There was an optional ability to get PS+ if players wanted additional perks, but leaving it free by default was honestly the better move, since there really isn't a good excuse that online play is a paid-for service on modern consoles. Strong Hardware - While the PS3 was thought to be difficult to develop for early in the console's life-cycle, by the mid-to-late period of the PS3's stronger hardware was allowing the system to run games much easier and smoother than the comparatively underpowered Xbox 360. In addition, the PS3 did away with region locked games, meaning that you could play games from other regions out of the box (this was good for gamers who wanted to play Japanese-exclusive games, for example). When you consider that the PS3 also had a built-in wi-fi adapter and the blu-ray drive, whereas the Xbox 360 had to get a wi-fi adapter as an add-on, had only a DVD drive, and you had to pay an annual subscription for Xbox Live, the higher cost of the system was actually quite comparable. My Favourite PS3 Games - Not a definitive list of the best games on the system, but my favourite games include: Uncharted 1 and 2, Dead Space 1 and 2, Battlefield Bad Company and 3, Bioshock, The Walking Dead, The Last of Us, Call of Duty 4: Modern Warfare, Fallout 3 and Dark Souls. Built-in DVD Player - Having a CD player in the PS1 was a nice convenience, but the DVD player in the PS2 was huge. For many people (my family included), the PS2 was our first DVD player and was the reason that we jumped ship from VHS tapes. 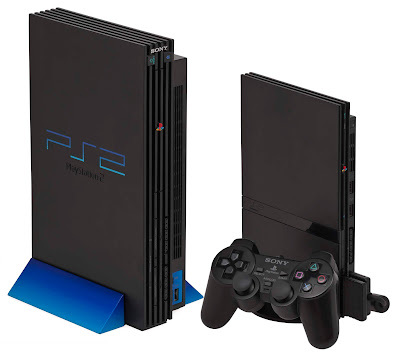 At the time, the PS2 was a very affordable DVD player and it was a key factor in the success and wide adoption of the format. Hell, my younger brother has a PS2 and still uses it as a DVD player, which says a lot about the importance of this feature. 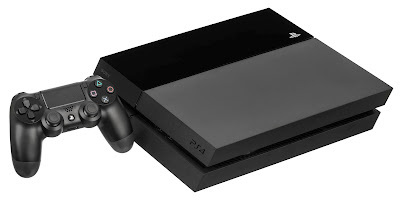 Backwards Compatibility - Another major factor of the PS2's success is its backwards compatibility with both the hardware and software of the PS1. You could use PS1 controllers with no issues and PS1 memory cards could be used as well (although these memory cards only worked with PS1 games). The fact that you could carry over your collection to a new console generation made the transition more attractive and basically allowed the PS2 to immediately surpass its predecessor. Huge Graphical Improvement - The graphical leap between the PS1 and PS2 era was one of the biggest improvements of any console generation. PS1 games were very blocky and low resolution, but PS2 games were able to smooth things out and start to approximate realistic graphics. Hell, stylized games like Okami and Sly Cooper still look quite good to this day. 3D Gameplay Improvements - By the mid-to-late point in the PS2 era, developers were finally starting to get 3D gameplay under control. Camera issues still plagued a fair few games at the time, but gameplay was finally getting refined and control schemes were starting to become standardized in a manner familiar to the games that we play today. This, of course, makes PS2 games much more playable and easier to go back to today. High-Profile Exclusives and New IPs - Exclusives and new-IPs ruled the roost during the PS2 era, perhaps to a greater degree than in any other era since, making it a truly exciting time to be a PlayStation owner. Games like Metal Gear Solid 2 and 3, Ico, Shadow of the Colossus, God of War and Final Fantasy could only be played on the PS2, many of which were high-profile third party exclusives. My Favourite PS2 Games - Again, this isn't a comprehensive list of the best PS2 games (not by a long shot), but my favourite games of the era include: Splinter Cell (especially Chaos Theory), Metal Gear Solid 3: Snake Eater, Freedom Fighters, Star Wars: Battlefront I and II, Twisted Metal: Black, Shadow of the Colossus, Sly Cooper 1-3, Bully and James Bond 007: Everything or Nothing. Hey, it's time for another Love/Hate series! This time we're going to be going through each of the generations of PlayStation consoles and handhelds! I've always been a PlayStation fanboy, having grown up along with each successive system. Hell, I even wrote a defense of the PS Vita when it was becoming a punchline and wrote my review of the notorious DOAX3 on the Vita version of the game for the 200th blog post celebration. So with that said, let's go back to the beginning and look at the original PlayStation console - what I love about it, what I hate, and everything in between! Genre-Defining Experiences - The original PlayStation was the most successful console of its era at a time when video games were literally entering a whole new dimension of possibilities. Considering the limitations of computing at the time and that 3D game design was basically uncharted territory, it's amazing how well a number of developers were able to make the transition and provide experiences which helped to establish genres as we know them today. For example, the 3D action platformer was established during this time with titles such as Tomb Raider, Ape Escape, Spyro and Crash Bandicoot, and games in this genre have retained most of these foundational elements since. Racing games such as Gran Turismo also play nearly identically to racing games from the PS1 era, just with more glitz and polish. Tony Hawk's Pro Skater was also responsible for establishing the skating game genre, which would be hugely popular well into the PS3 era. Survival horror was really established on the PS1 with Resident Evil, Dino Crisis and Silent Hill, providing an experience which is almost entirely exclusive to the PS1. These are just a few examples, but it just goes to show that the PS1 was a key foundation for gaming as we know it today. CD-based Format - In a time when cartridges were the go-to method for game storage and when CD players weren't particularly common, the PS1 showed the value of multi-media storage formats. Having game's played on CDs was a huge benefit for a number of reasons: they were less bulky, cheaper and could store far more data than the competition and they allowed PS1-owners the freedom to use the system as a CD player when they weren't gaming. The DualShock Controller is the Granddaddy of Modern Controllers - The title pretty much says it all. While the original, analogue-less PlayStation controller was basically just a refinement of controllers of its era, the DualShock set the new standard which has been replicated in all future controllers since (barring gimmicks like the Wii of course). Easy to Pirate For - Sure, this wasn't exactly an intended feature, but with the cheap proliferation of CDs, the PS1 was notoriously easy to pirate games onto, a "feature" which has only gotten more valuable in the years since support for the console has died. It was also fairly easy to modify the system, such as replacing parts in order to circumvent the system's region locking features. My Favourite PS1 Games - Obviously this isn't a comprehensive list of good PS1 games, but the games that I love and grew up on include Ape Escape, Metal Gear Solid, Twisted Metal 2, Vigilante 2: Second Offense, Future Cop: LAPD and Driver.